Homes are original as the people that live in them and so is Bomanite Architectural Concrete. Whether your home is a Spanish bungalow or Victorian mansion you will always come home to the genuine quality of Bomanite. Bomanite integrates both personality and product, crafting solutions to bring your ideas to life. Bomanite Architectural Concrete is not only for residential applications like pool decks, patios, walkways and entries… rugged, long-lasting Bomanite is also ideal for commercial and municipal applications. Not only does Bomanite hold up under heavy traffic, it can add extraordinary beauty to an ordinary public thoroughfare. 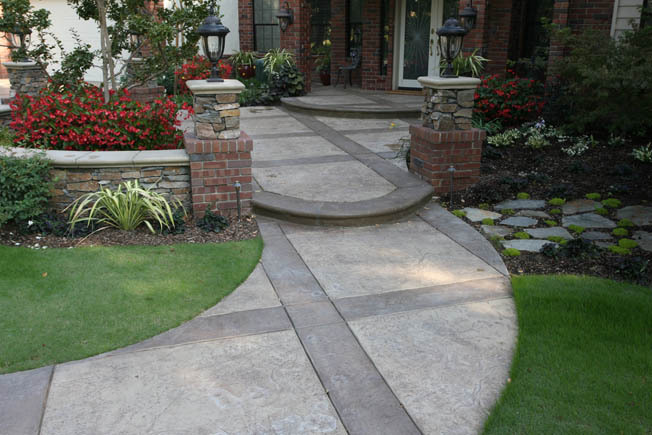 Whether you’re planning a residential patio, a commercial driveway or a municipal sidewalk, you can always count on Bomanite’s enduring quality and craftsmanship.